Radially removable fluid couplings are easy to remove for maintenance without having to move the driver or driven components. There are several different designs available to suit your requirements. 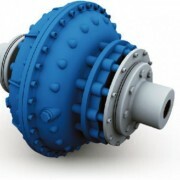 These couplings are radially displaceable, enabling prealignment of driving and driven shafts prior to assembly. A metallic flexible disc coupling is fitted to both ends. They give starting torque down to 120% of nominal torque. 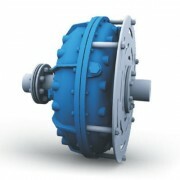 The HF is a standard coupling; HFD comes with a delayfil chamber and HF-DX with extended delayfil chamber. Standard fusible plug blow off temperature is 130 degrees C.
These are Radially Displaceable fluid couplings with resilient driving plate on input side and metallic disc flexible coupling on the output side.Extended TFV models are available that match shaft to shaft distance of FCU couplings.